The polar vortex is on its way out of Central Iowa thankfully and we are no longer housebound. It's good timing since we've got a pretty big weekend coming up. Of course there's the big game on Sunday to get ready for plus we are finally celebrating my daughter's birthday with family that day. That means a house full of people for us to feed. Before the cold hit too hard we were able to venture out to Walmart and stock up on some snacks for the party. 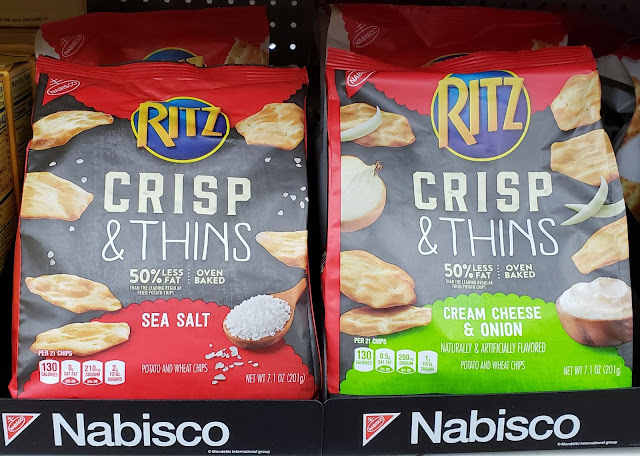 I was excited to see these RITZ Crisp & Thins in the snack aisle. They're a nice alternative to chips. 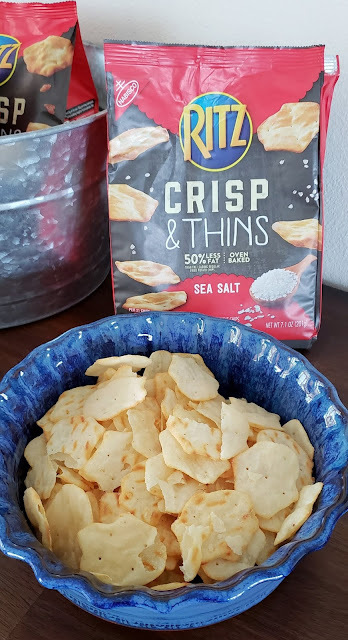 They've got a great crunch, yummy flavor and leave you without the greasy fingers. 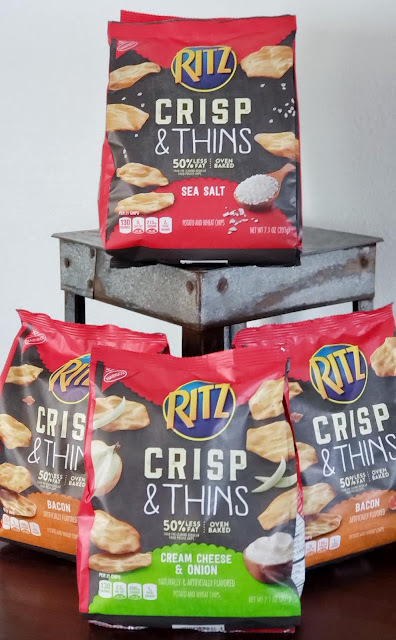 There's a great offer for RITZ Crisp & Thins right now on the Ibotta app. 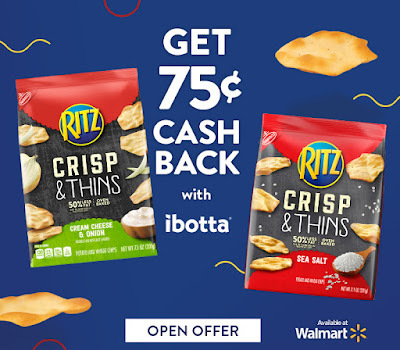 You can get $0.75 cash back on up to five packages of RITZ Crisp & Thins. I picked up five packages at Walmart, submitted my receipt and got $3.75 back. Love it! With six different varieties available including Cream Cheese & Onion, Sea Salt, Bacon, Salt & Vinegar, Sweet Chili & Sour Cream and Smoked Chipotle you may have a tough decision on your hands. I recommend maxing out the Ibotta rebate and trying several different flavors! You can enter to win a $200 Walmart gift card right now! There will be one lucky grand prize winner and six additional winners who will each receive a $50 Walmart Gift card! Hurry, this sweepstakes ends February 3rd! Good luck! These sound good. Thanks for the opportunity. I'd start with the cream cheese & onions. Entered the contest. 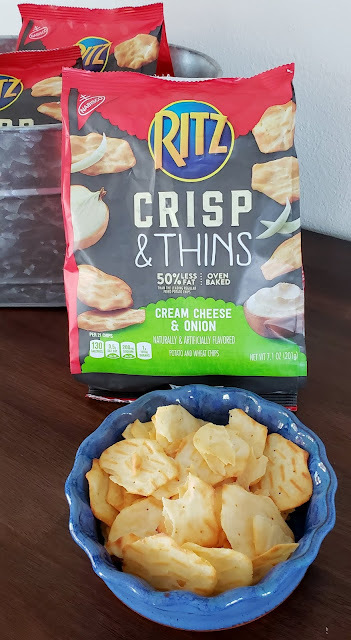 I love Ritz, but I am not sure I would enjoy these thinner products. Can't wait to try them/ Ritz Crackers are my husbands favorite snack! It's love to try the sour cream and onion crackers. I like that these are oven baked. Sorry I missed this contest but leaving this comment for another 😁. Love this blog. I just started following it not too long ago. Never blogged before lol. I like all of the Ritz crackers and crisps they make. Sour Cream & Onion is the best. I love to have them with tuna fish like dipping it and spreading it on the ritz cracker it's so delicious. I haven't tried these yet but they sound delcious! These are pretty good & my daughter's favorite!! !